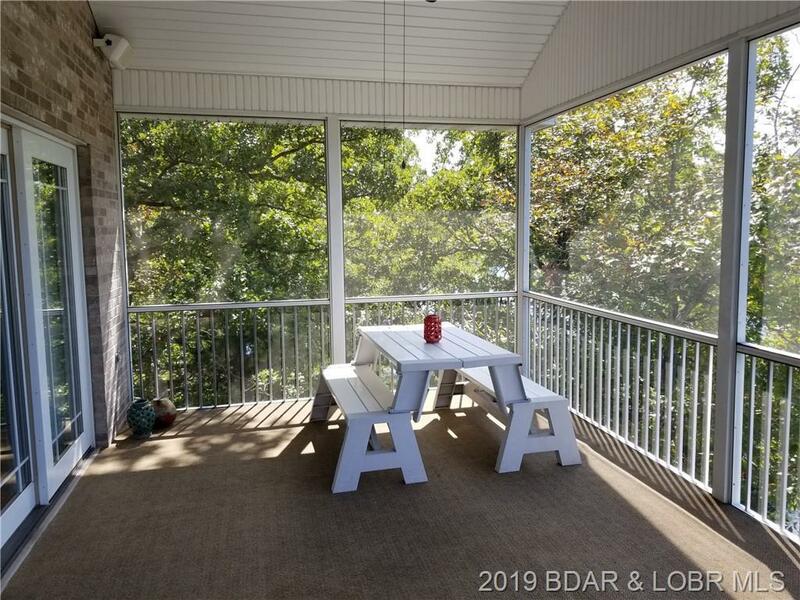 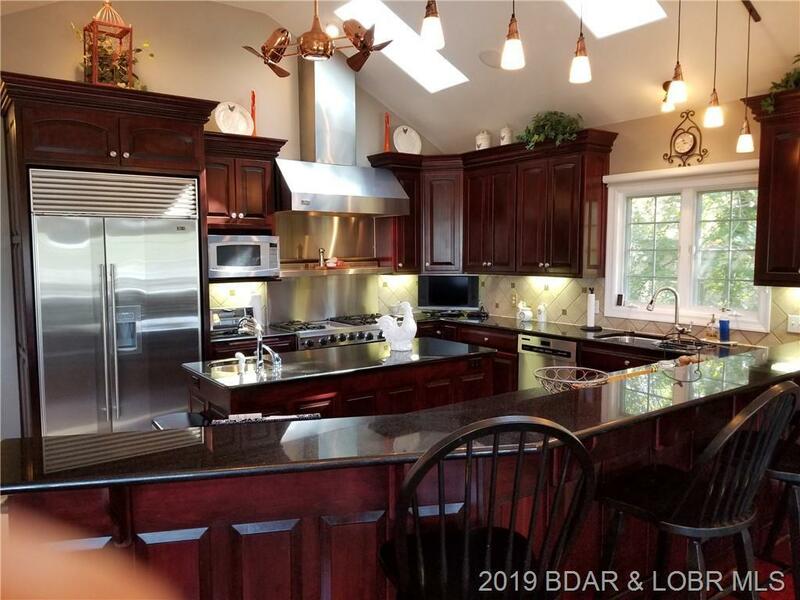 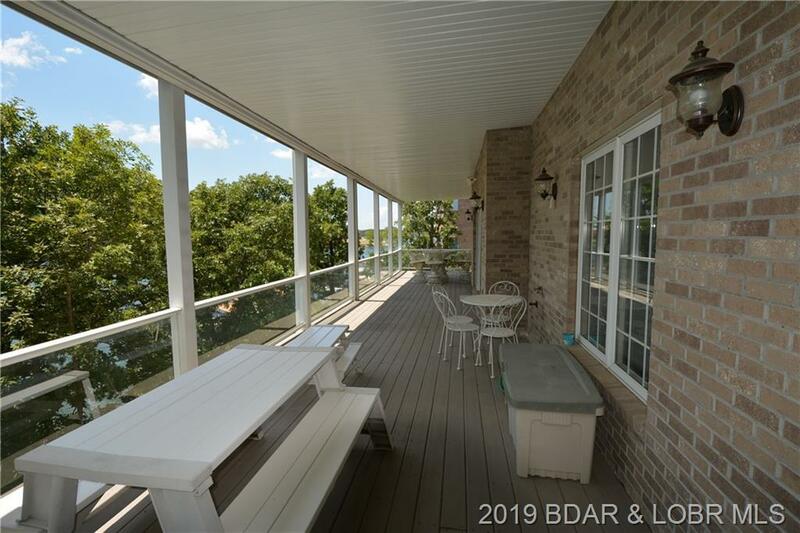 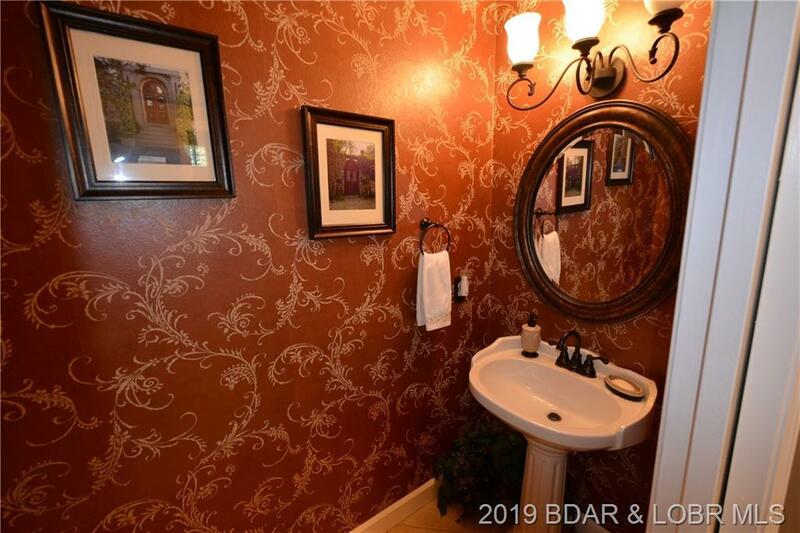 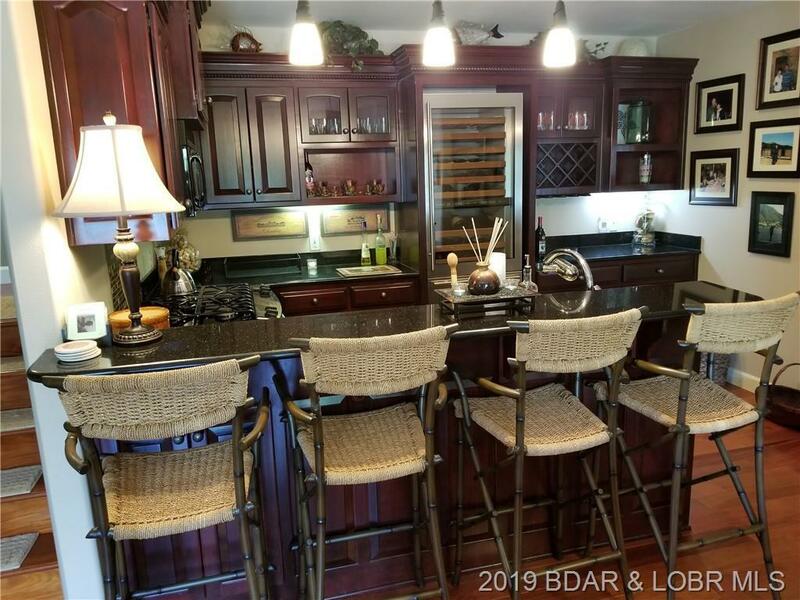 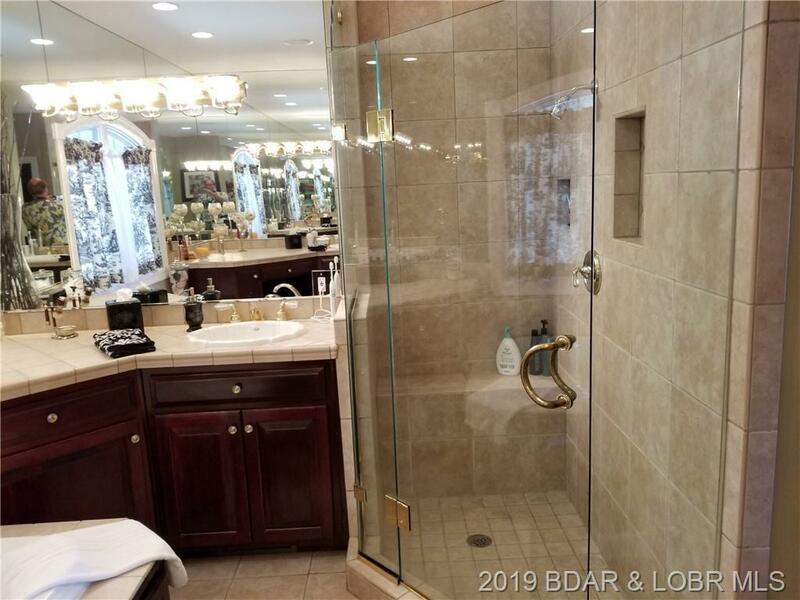 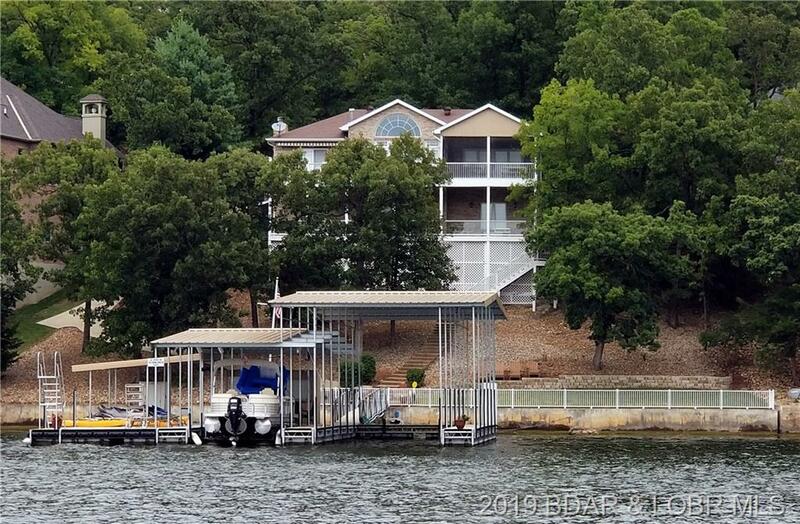 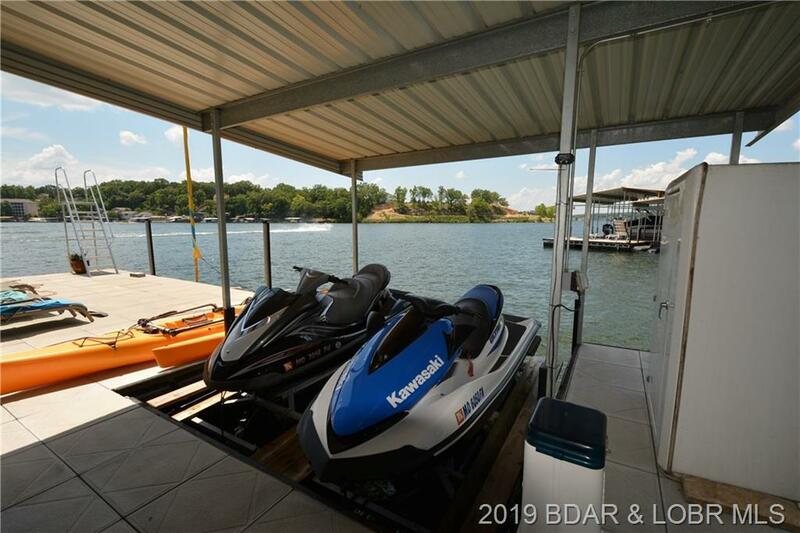 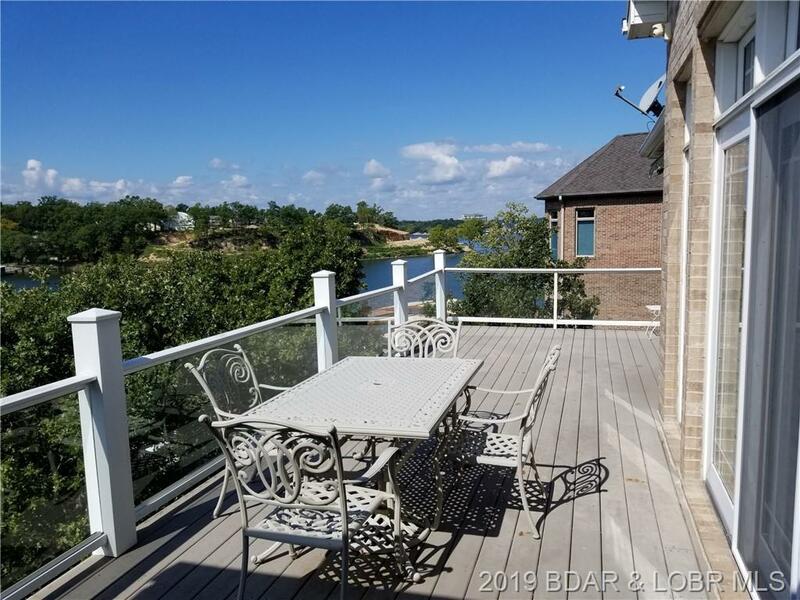 This totally furnished lakefront home w/gentle drive into 3 car garage has gorgeous 137’ of lakefront in fantastic big cove setting w/big cove views. 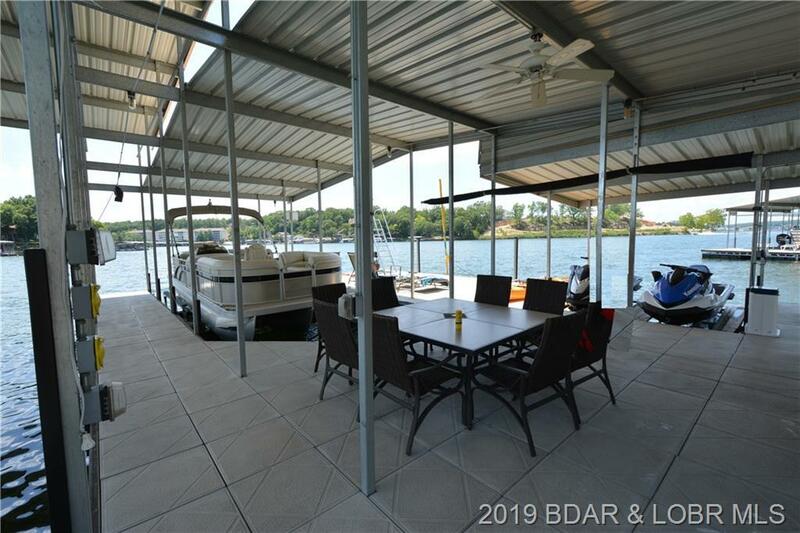 Wonderful floorplan has Brazilian hardwood flooring & tile, 3434 SF, 4BR/3.5BA, High end Furnishings, 2 full kitchens w/granite countertops & top of the line SS Viking Appliances/Sub Zero refrigerators, gorgeous crowned cabinetry, dining area walks out to screened deck w/the perfect lake views. 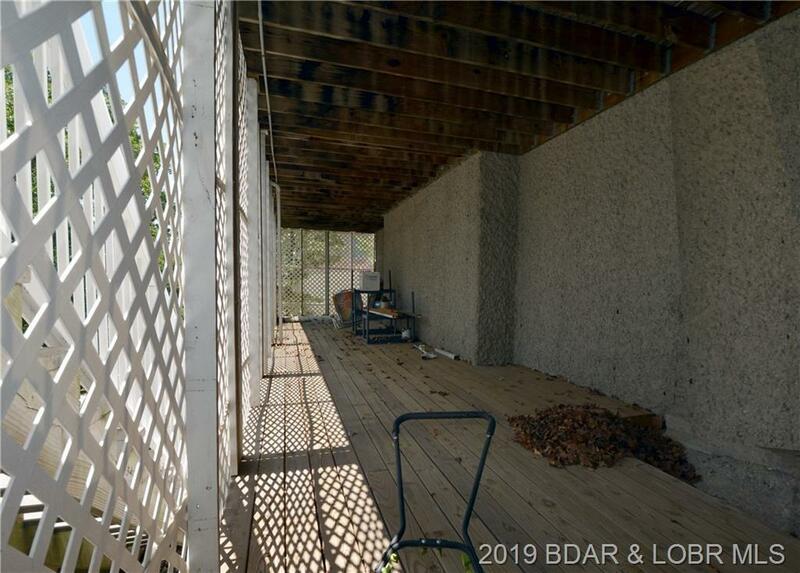 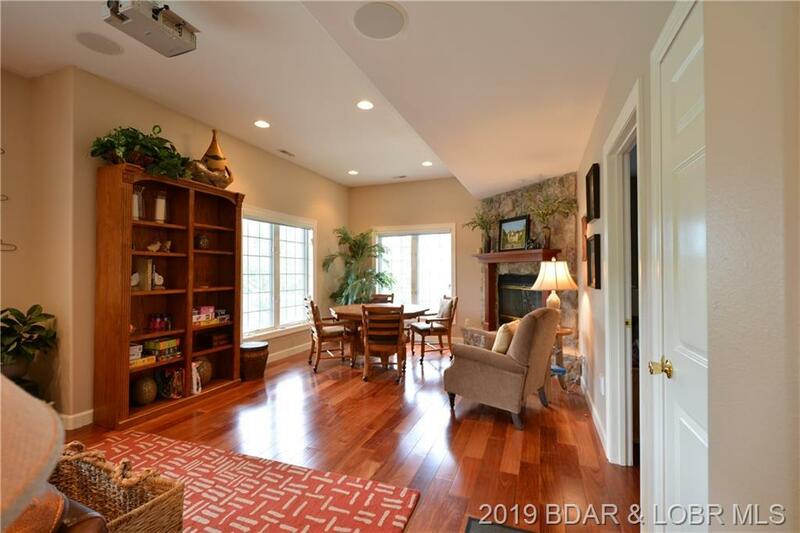 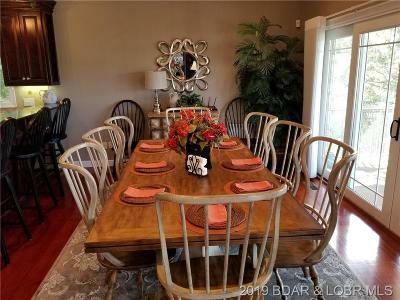 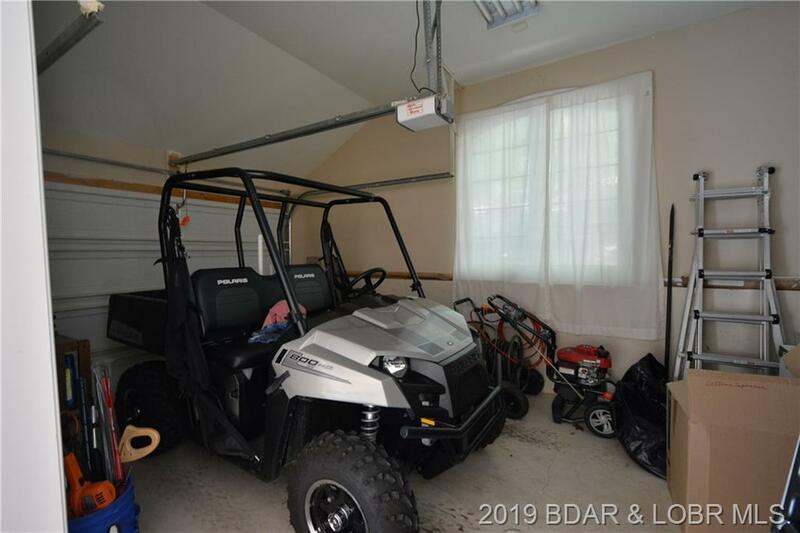 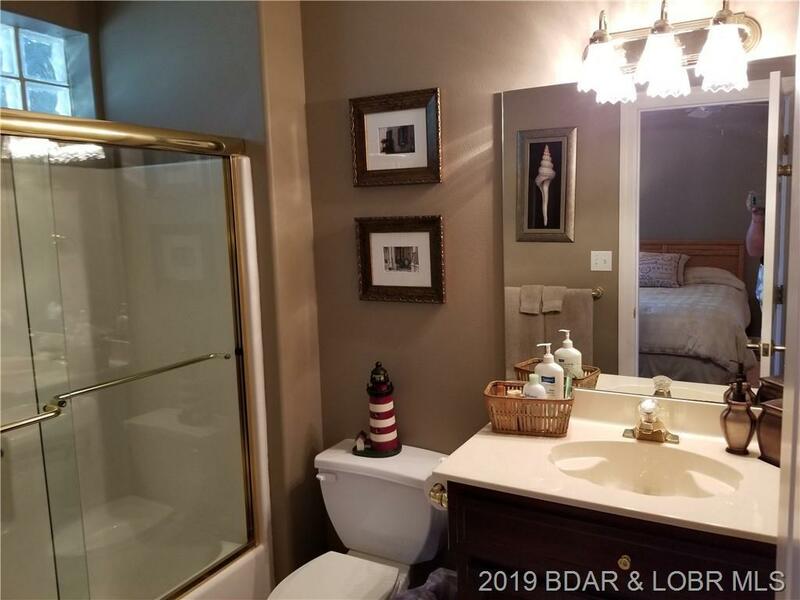 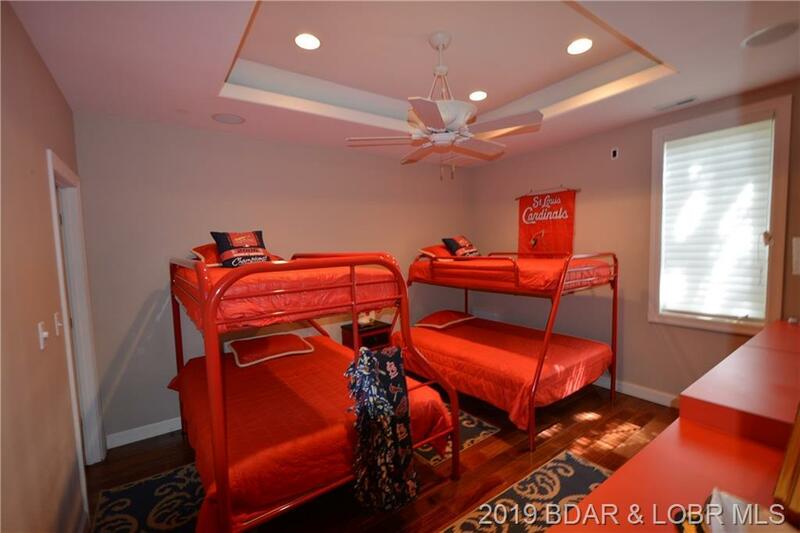 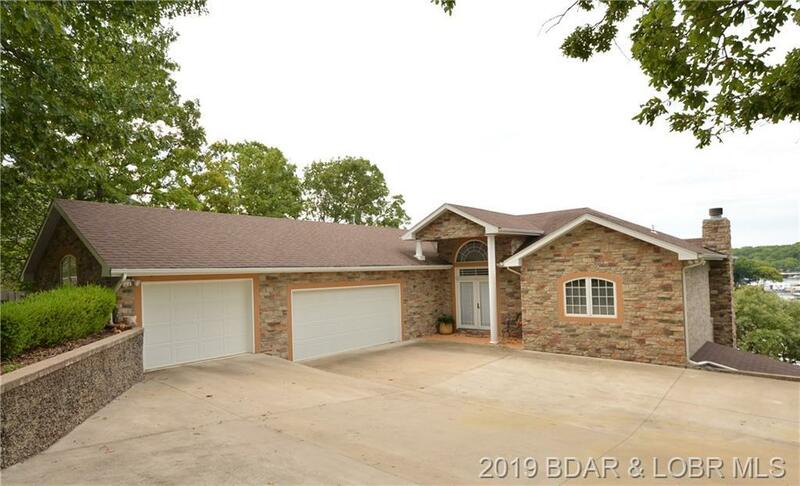 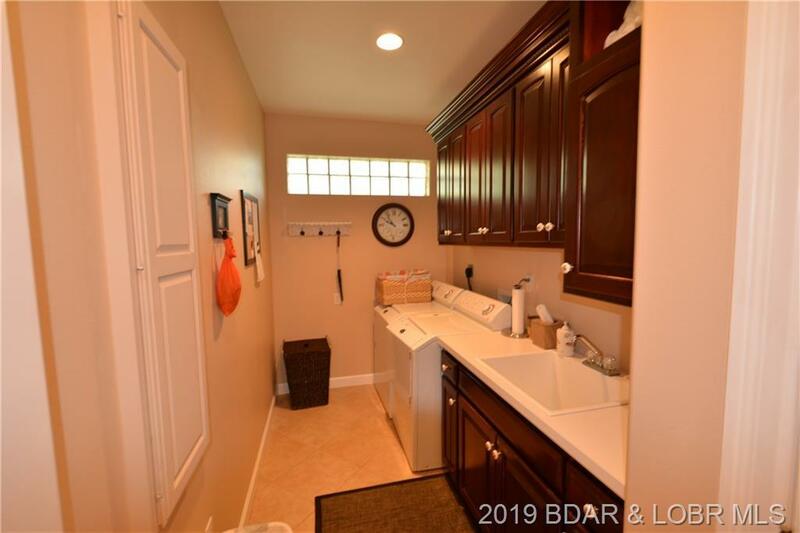 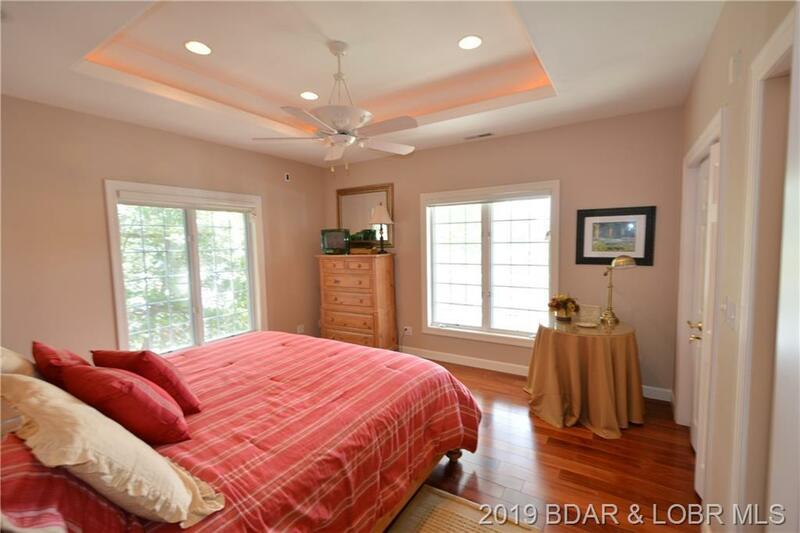 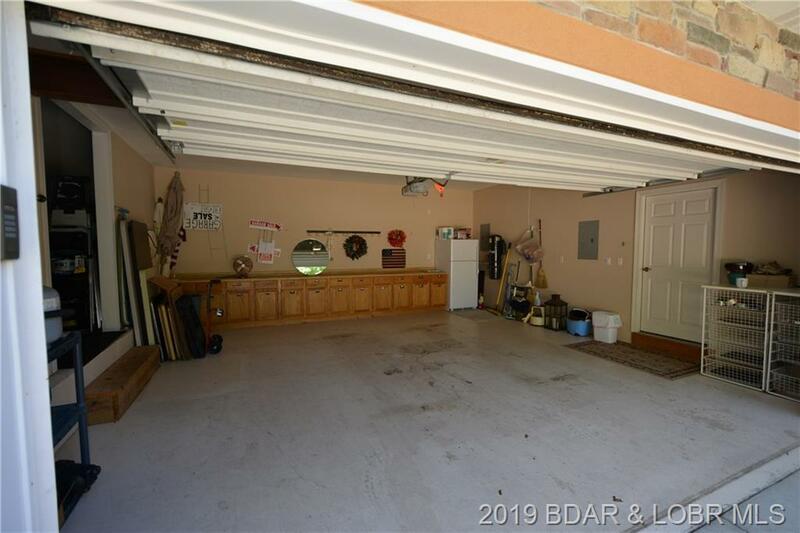 Great Room Vaulted Ceiling, Main level Master Suite has recessed ceiling, dual walk in closets, see thru fireplace, walk out to lakeside deck, Hunter Douglas remote blinds. 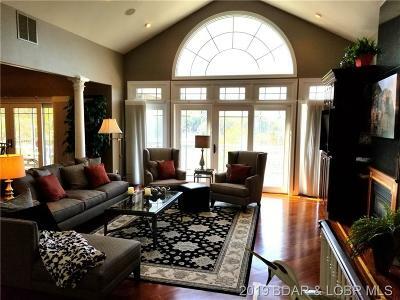 Lower Level Master & 2 guest bedrooms, family room w/fireplace, bonus room plus covered deck. 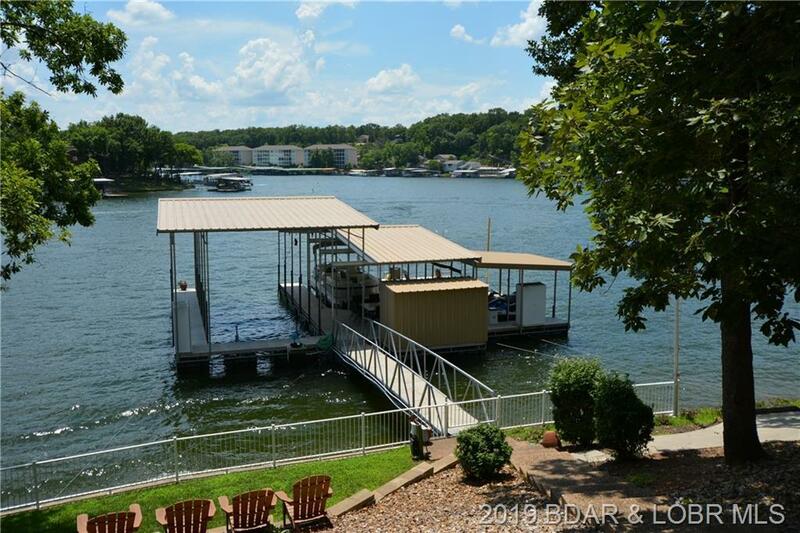 Golf cart path to fenced seawall, the perfect. 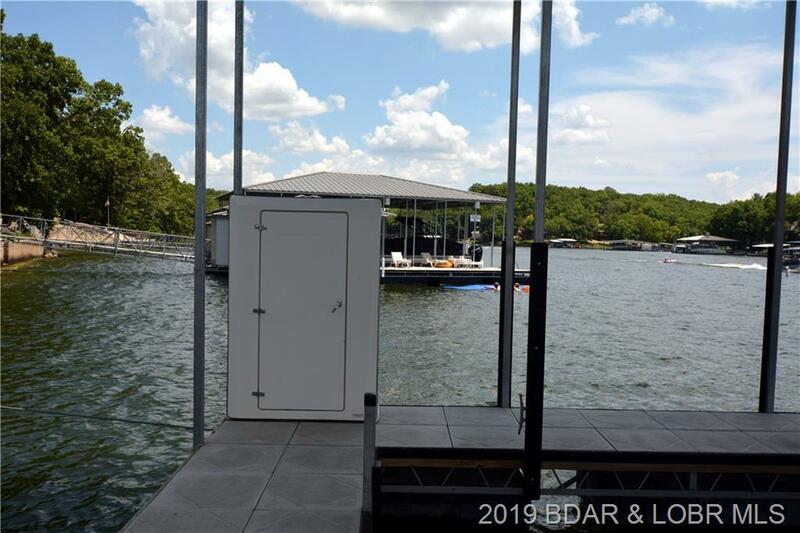 $100K Dock System w/8x10 shed, 32x16 swim platform, 44x16 & 28x12 slips available for $85K. 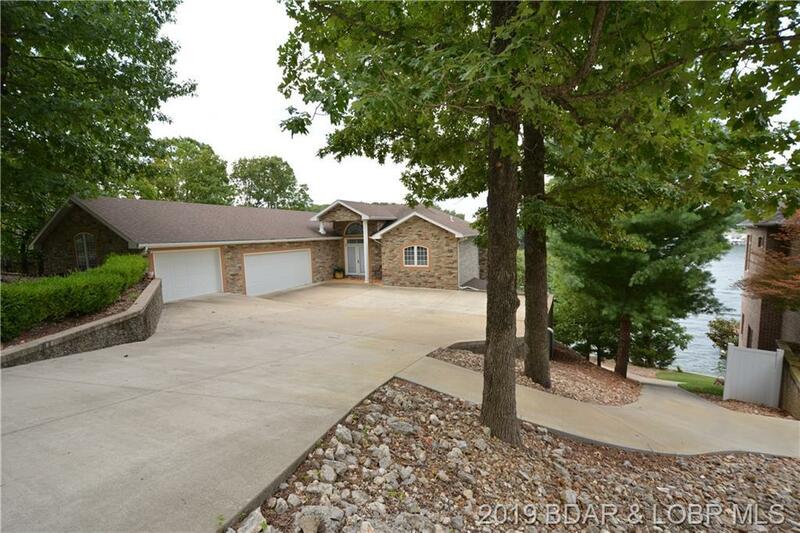 Low Maintenance cut stone & brick exterior, extra storage under lower level deck, this home has HUGE roadside/lakeside appeal! 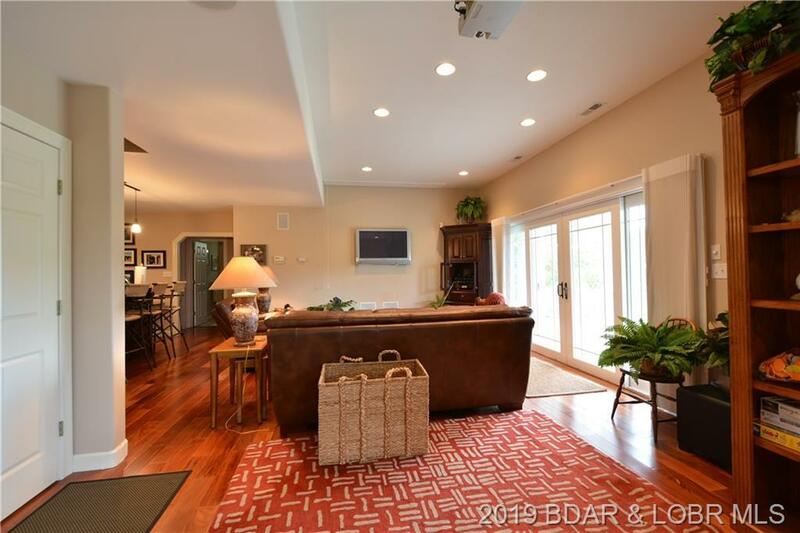 Directions: Take Mm To Grand Point Blvd. To Left On Wildflower Crest To Right On Grand Cove Road To 4th Home On The Left - 760 On Mailbox.